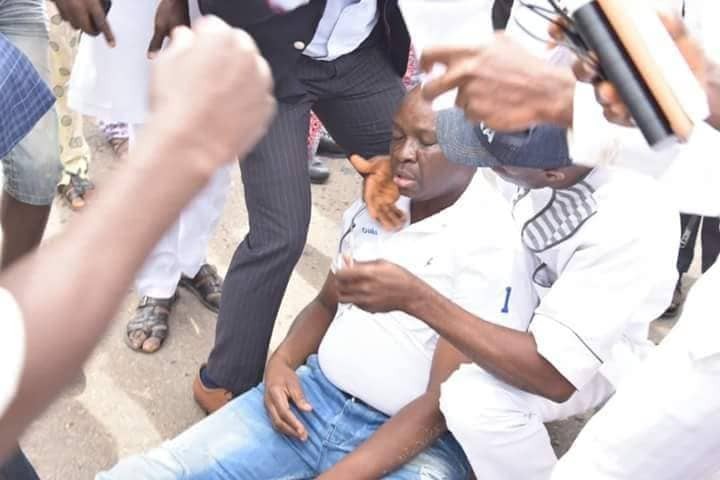 A chieftain of the All Progressives Congress (APC) in Ekiti State, Prince Dayo Adeyeye, has advised voters to ignore, what he described as the latest antics of Governor Ayodele Fayose, who claimed that he was attacked by some armed security agents at the Government House on Wednesday. Adeyeye, who spoke through the Director of Press of his campaign organization, PAAM, Chief Niyi Ojo, in Ado Ekiti , said “Fayose has always been a clownish dramatist and his latest stunt was aimed at creating a diversion for the people of the state, while covering up his nefarious activities, which are aimed at rigging Saturday’s governorship election”. The statement reads in part: ” Fayose has always been a dramatist. He has always been acting drama. Ekiti people should ignore him and remain resolute in their determination to throw him out of office and out of Ekiti State completely on July 14. The former Minister of State, Works, congratulated the people of the state for their impressive turnout on Tuesday for the party’s mega rally and the visit of President Muhammadu Buhari. He also implored youths, especially students of higher institutions, not to involve themselves in Fayose’s schemes to rig Saturday’s election, adding that it could turn awry for them and knowing the governor, he would deny them, when they are arrested and incarcerated . ”I congratulate the people of the state for their massive turn out on Tuesday for the visit of President Muhammdu Buhari to the state APC’s mega rally and other VIPs, who came too. This was despite all the devilish plans of the tyrannical governor to prevent and disrupt the rally. ”I admire their courage and determination to weed out the Pharaoh of Ekiti State through the polls on Saturday. ”There are reports that some of our youths are being misguided by the despot at the State House, to engage them in disrupting the democratic process. These have dire consequences and the character in the Government House has been known in the past to betray those who did his bidding and get caught. Be wise, don’t be used for devilish plots, which are anti-democratic”.